This collection of engaging and simple to use activities will jumpstart students’ learning and help the busy teacher to reinvigorate their teaching through the use of mobile apps and activities that can be used in the classroom. A wealth of practical activities and advice on how to incorporate over 40 lively and exciting apps into the classroom will enable teachers to deliver creative lessons. 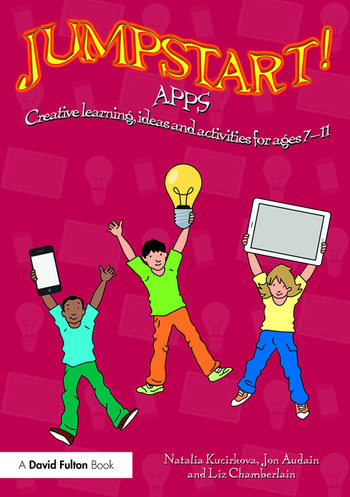 This essential guide focuses on a range of apps, including Skitch, QR codes, Comic Life, Do Ink Green Screen, Puppet Pals, Our Story and much more. English, Maths, Science, Modern Foreign Languages, ICT, History, Geography and PE. Jumpstart! Apps is an essential classroom resource that will encourage creative and independent learning in children and is the perfect solution for helping teachers, teaching assistants and students integrate apps into their daily practice, make the most of technology at their disposal and deliver imaginative and effective lessons. Natalia Kucirkova is Senior Lecturer in Childhood, Youth and Education Studies at Manchester Metropolitan University, UK. Jon Audain is Senior Lecturer in ICT/Computing and Music for Primary ITE at The University of Winchester, UK and an Apple Distinguished Educator (ADE). Liz Chamberlain is a Senior Lecturer in Education at The Open University, UK.